Room design tends to be thought of in big picture decisions first. With good reason! The bigger pieces of furniture will lay the perfect groundwork for your space, creating an outline for how the room will look and function. But how do you tie these pieces together and make a room come alive? Simply put, it’s the small accent pieces you add in last that will transform your space; adding dimension, color, and life. The wonderful thing is that all of these elements can be tailored to your personal style. Color is the most obvious way to add life to a room, and it can be anything from changing your wall color to adding in an accent rug or colorful throw pillows. The neutral look is really in right now. And we understand why! Choosing larger pieces of furniture in neutral colors is a safe bet. But if a room has only neutral colors you might notice that it feels a bit lackluster. The best way to bring neutrals to life and to make them pop is to add in color. Even something as a simple as adding in a complimentary colored throw on a sofa will add contrast and dimension to your space. The colors you choose to add back in will depend on your style and what you want to do for the room. If you want to bring light and warmth to a cooler toned room, you can add in warmer tones like gold. Pale cool colors work beautifully to tone down warmth in a very sunny room. But it shouldn’t be forgotten! While color pops and adds life, texture adds dimension. Adding multifaceted textures to a room will create a finished and dimensional look. In other words, without texture, your space will fall flat. So, how do you add in texture? Patterned fabric can read as texture even if it’s one dimensional. A great way to add multi-dimensional texture is to mix and match textures, like layering textured pillows on a sofa. Taking care of plants and attending to them is a great way of honing in on your space and giving it the care it deserves. Plants can also be added in to provide balance to a room; for example, placing a tree opposite a sofa to balance a lamp on the other side. Plants are multi-dimensional, and depending on the variety you choose, add bright vivid color and a textural element. Accent pieces are exactly what they sound like, “accents.” They are the perfect last step when it comes to finishing a space. They might be anything from accent furniture, like an eclectic coffee table, to a centerpiece. Even a bowl of fruit can act as a colorful accent to a room. You might choose to add in a collection of antique furniture or adorn the walls in art. Perhaps you have collectibles that you want to display or an heirloom piece. This is where you can let your unique style really shine! You’ll find that as you add in these finishing touches, your space will slowly come to life. Because when it comes down to it, a room isn’t a template, it’s a living space. And we are here to help you make your house feel like a home. Our design consultants will help you every step of the way, from choosing the larger pieces to adding in finishing touches. They are dedicated to helping you create a space that you not only love but can happily live in. Learn more about Cindy, and meet the rest of our designers! 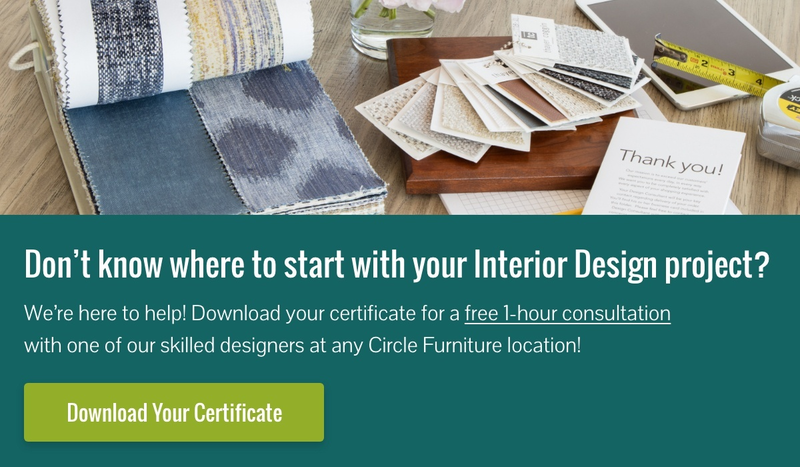 Ready to get started on your design journey? Check out our Interactive Room Planner and come into one of our showrooms!